Gentle Cleanse Shampoo (0.5 oz) - A sulfate-free, hydrating cleanser to gently remove impurities from scalp and strands without stripping your hair’s natural moisture. The result: Soft, refreshed hair perfectGently cleanse, refresh and remove product buildup with this sulfate-free, hydrating shampoo. Formulated with our exclusive CAPILSANA® COMPLEX, it won’t strip hair of its natural moisture. 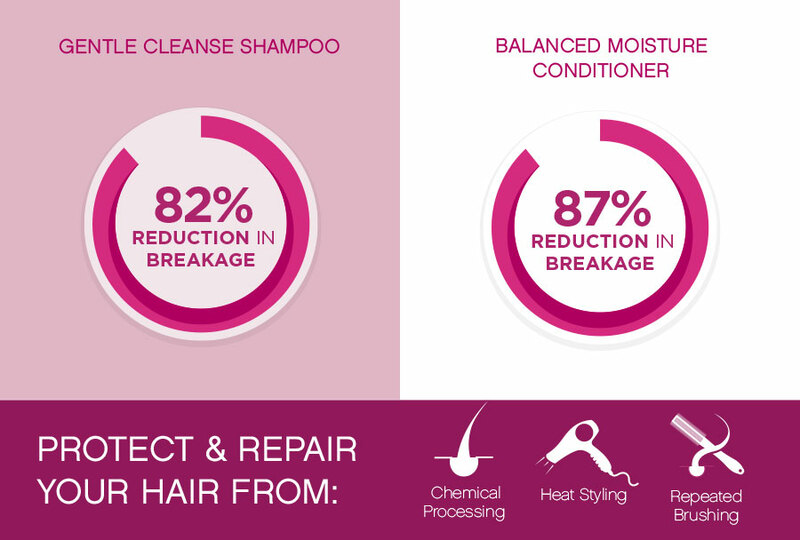 Proven to strengthen and reduce up to 82% of breakage. Balanced Moisture Conditioner (0.5 oz) - Replenish your hair’s optimal moisture level with this luxurious blend of vitamins and botanicals, including our exclusive CAPILSANA® COMPLEX. Gently detangle, smooth and soften hair while reducing breakage up to 87%.